The former East 125th Street firehouse, located between Lexington and Park Avenues. Photo: Jonathan Reingold. 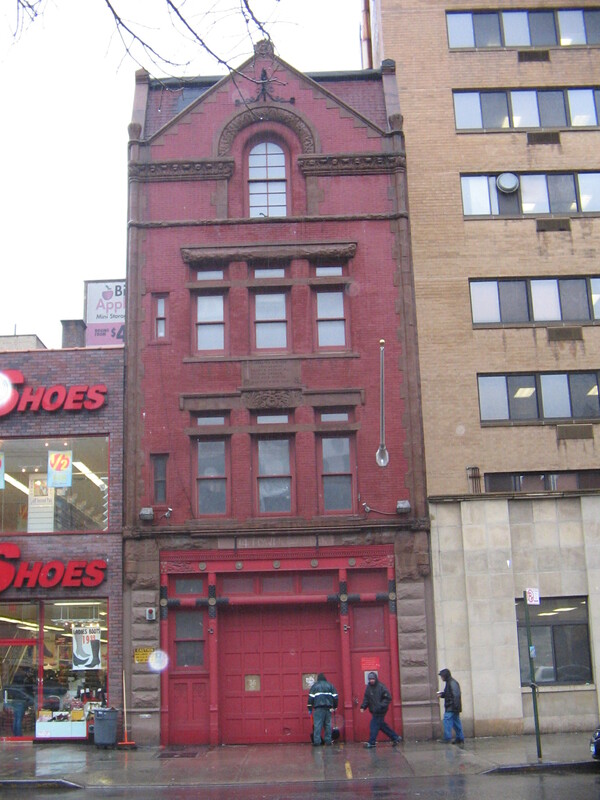 Proposal lists a $1 purchase price for Harlem firehouse. The New York City Economic Development Corporation and the Department of Housing Preservation and Development are jointly seeking proposals to purchase and redevelop the former East 125th Street Firehouse as a community or cultural facility. The Romanesque Revival-style firehouse, located between Park and Lexington Avenues, dates back to the late 19th century and was designated a City landmark in June 1997. In May 2003, the City decommissioned the firehouse for budgetary reasons. Four years later, the City Council approved DCAS’ plan to sell the firehouse so long as the City transferred it to a community service provider. 4 CityLand 71 (June 15, 2007). The firehouse is located within the Department of City Planning’s proposed 125th Street Rezoning Plan, which would increase the maximum allowable residential and commercial FAR to 7.2 and 4.0 respectively, while decreasing community facility FAR to 6.0. Although disposition of the building was previously approved by the City, HPD must obtain further government approvals per statutory requirements that govern HPDinitiated dispositions. The RFP seeks proposals to convert the 8,500-square-foot building into an active space for community, educational, and cultural uses. Proposals must respect the building’s landmark status. Any proposed changes to the building must be reviewed and approved by Landmarks. EDC set an April 28, 2008 deadline for all responses. EDC: Request For Proposals – East 125th Street Firehouse (Jan. 22, 2008).